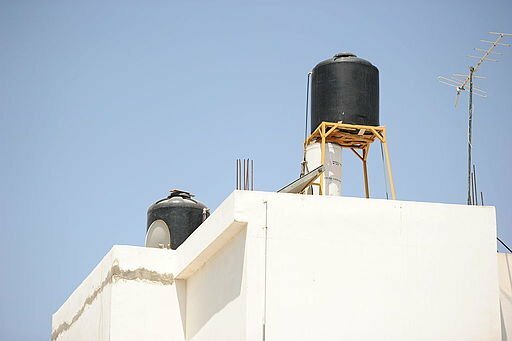 Roof water tank in Jenin, West Bank. By Guillaume Paumier. Treating wastewater will eliminate environmental degradation, improve public health and increase water availability, as the treated water will be reused for agriculture. As mentioned elsewhere in this report (see Water Use) the supply network throughout the West Bank loses around 30% of the supplied water. The PWA had stated that there are ongoing efforts to rehabilitate and renew the network, which will reduce the losses and increase the efficiency of water delivery. These are ambitious plans. Yet their implementation depends on the political atmosphere as well as the bureaucracy of securing permits from the JWA and the Civil Administration. [i] Attili, S., 2015. Head of the PWA 2008-14. Personal communication.